We recently had a Meeting of the Geeks which involved our IT people all getting together to chat about improvements to the Stovesonline site. 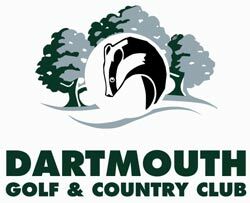 Rather inconveniently a powercut was scheduled here for the first day of the meeting which rather scuppered our plans.....Luckily we have Dartmouth Golf & Country Club up the road from us so I gave them a call to see if they had a room free. Paula, the function organiser there and a very nice lady, organised a room for us with a projector, internet access, table all laid out and tea & coffee to boot. And, get this, all complimentary as it was the first time we had made use of their services. I was rather blown away by that and it saved our meeting too. The room was great; it was quiet, had nice views over the countryside and a handy balcony for the smokers. The Meeting of the Geeks was a great success with technical acronyms flying around and lots of useful back and forth to discuss the pros and cons of various technological approaches. You won't see any changes for a while yet on the site but things will be going on in the background. No we didn't play dungeons and dragons. Runescape is more the thing apparently but we didn't play that either!